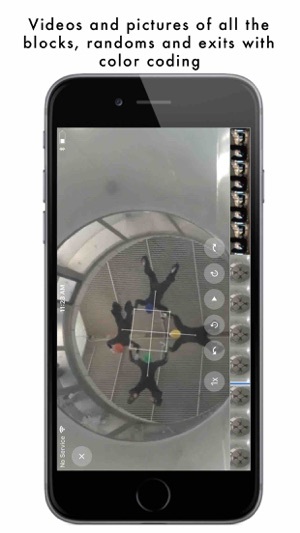 Rhythm Skydiving 401 for iPhone – A Rhythm Coach in the palm of your hand! 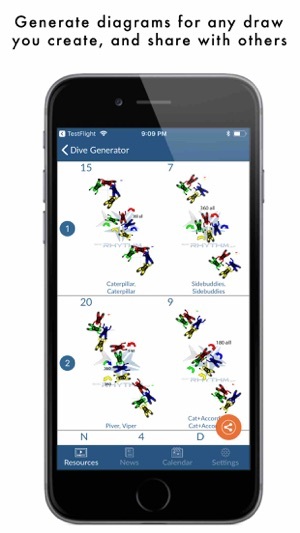 This is the ultimate app for 4 way enthusiasts at any level, brought to you by SDC Rhythm XP. tunnel video, with new content added every month. - Have a question? 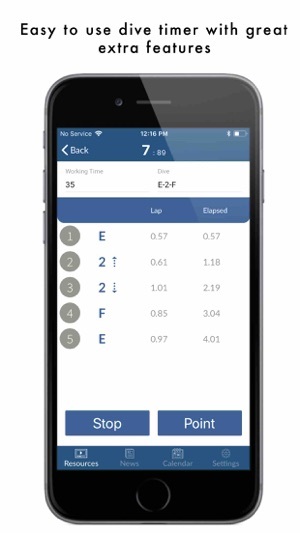 Contact Rhythm directly through the app for answers. Rhythm 401 is supported through an auto-renewing subscription which you can choose to purchase within the app. 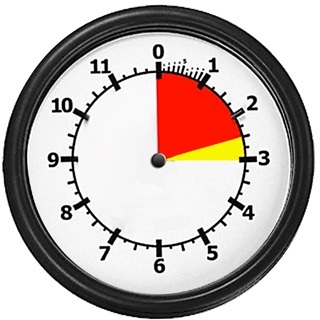 Timer beeps when you first start it. Other small but helpful improvements. 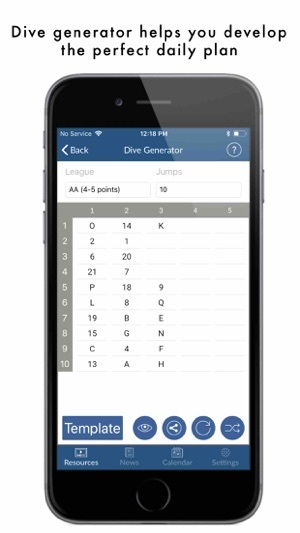 This is a fantastic 4-way app from one of the World’s best teams. Their teaching style and curriculum is really well thought out and extremely beneficial. The subscription content is well worth the price, cannot more highly recommend it. 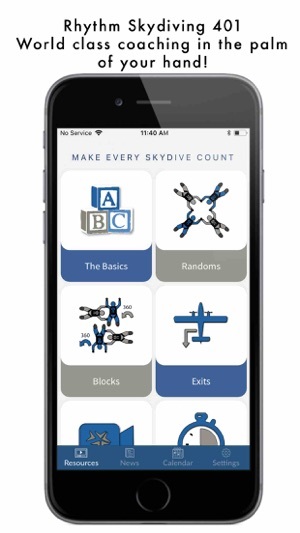 To be able to look at how they roll a block or detailed info on an exit in the middle of a training day is incredible, especially for those of us at smaller drop zones without a coaching presence. This is the resource we’ve all been dying for! Thank you, Rhythm! 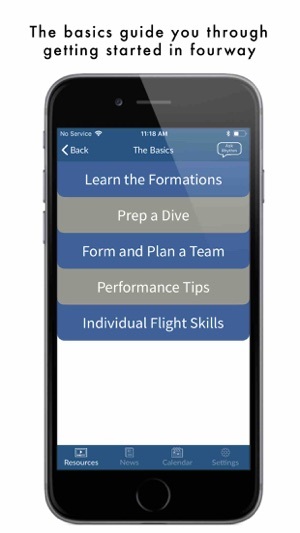 Just downloaded this app and I already see that it’s going to be a huge help in training. The ability to watch video of every exit and every block - in slow motion - will be great for visualization. 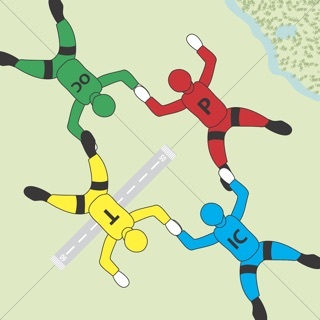 The photos at the mockup of how to set up exits - from different angles - are particularly helpful. 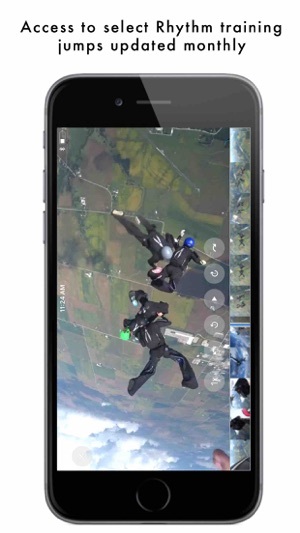 Excellent skydiving app with tons of useful information! Thank you for all of the time you put in making it for all of us! !